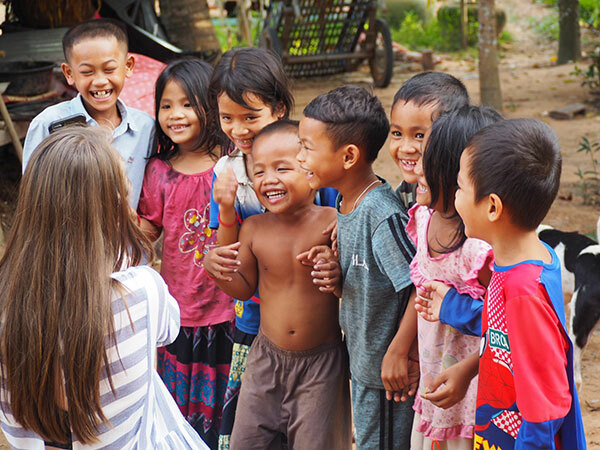 At Ashanti, we are dedicated to making a difference in the lives of those less fortunate by purposefully allocating part of our profits to charitable endeavours aimed at promoting individual and community development. This allocation of funds is currently being used to support the noble work of the following organisations. 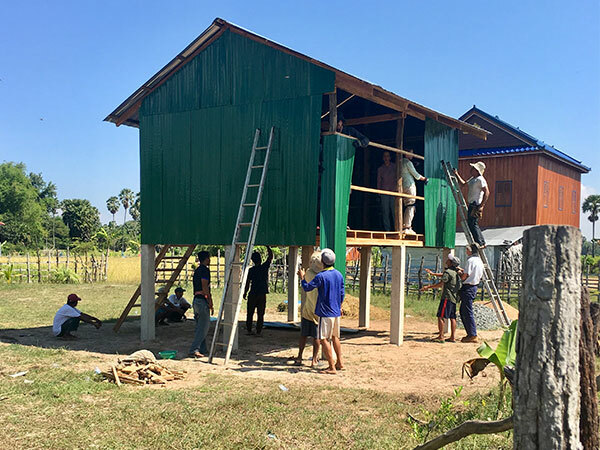 Tabitha is a sustainable non-profit organisation operating in Cambodia whereby all funds raised are used to support the poorest people in Cambodia through programmes that focus on personal and financial developments. Tabitha’s main activity is the Community Savings Program. Before joining Tabitha, many families have no savings or may only save a few cents each week as the average family earns less than $1(US) a day. Through Savings, families set goals to better their lives and the lives of people in their community. Tabitha staff (all voluntary) make weekly visits to families in the program to offer support and collect the savings. After 10 weeks, the savings are returned to the families – this money is then used to buy much needed items, such as shelter and food, thus achieving their initial goals. This cycle repeats until families graduate from the program – approximately 5-7 years later – at which point they have enough food, clean water, shelter and a sustainable source of income. 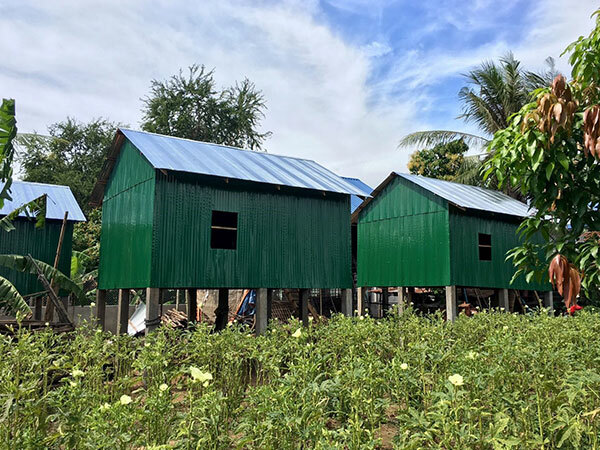 The ultimate vision is to develop processes which will enable people to actively make their own choices and developments which will result in the alleviation of poverty in Cambodia. Ashanti has supported this vision by contributing the funds to purchase 2 family homes and 4 cows. 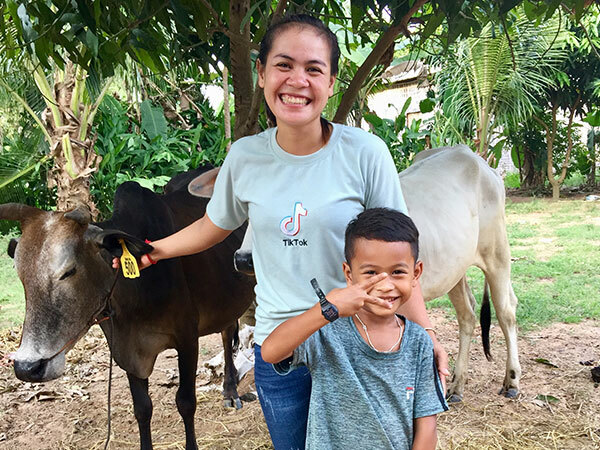 The cattle endeavour is run in collaboration with the NGO – Cows for Cambodia. Ashanti’s partnership with Hope for Children is primarily focused on fighting poverty through education. In particular, Ashanti has provided funding to The School of St Yared in order to support the provision of quality education. The School of St Yared operates with the principal goal of empowering students through education to break free from poverty and inspire them to become the future leaders of their communities. By connecting the school to WIFI and using laptops and Ipads to access teaching resources, we can provide students with a high quality, 21st century education which is vital to lifting them and their communities out of poverty. Ashanti is proud to be an official Technological Partner of The School of St Yared and is committed to providing continued support in maintaining and improving the way it uses digital technology to enhance students’ education. Join us in fighting poverty through education via the link below – together we can help the children of St Yared reach their true potential and break the cycle of poverty. The BridgePro Foundation provides a support network to encourage African, Aboriginal, Regional and other At-Risk youth to take a professional approach to life decisions, while utilising athletic success for engagement. The program seeks to mentor and develop elite athletes who have the potential to be leaders in their respective communities. By fostering an environment of seniors giving back to juniors, we expect positive changes across generations. The BridgePro Foundation utilises an extensive network of professionals from a variety of multi-cultural backgrounds to showcase opportunities for youth outside their current periphery. At the heart of the BridgePro Academy is building a foundation of cultural heritage, to assist in developing resilience and positive self-affirmation, which ultimately contributes to sporting and leadership success. The foundation is one particularly close to our heart, as it was founded and is run by Ashanti team member, Carmie Olowoyo. Ashanti’s sponsorship of this cause will go directly to funding participation in youth camps, additional mentoring and leadership training, and other forms of athletic development. Other endeavours which Ashanti actively supports include the Hawaiian Ride for Youth, Water for Africa, and Plant With Purpose.